The internet tricked us into thinking everything could and should be free. First it was the news. Then it was shipping for our newly formed online shopping habits. Next it was connecting, for free, with our friends and family. A recent example of this is the PayPal Giving Fund (PPGF) in Canada, which launched a “zero processing fee” consumer-facing website in November to process donations for charities. Other platforms have launched with similar offers in the past, like CHIMP out of Vancouver and ATB out of Calgary, and we’re also seeing crowdfunding sites increasingly claiming to be free – in some cases, fees that go to the company are hidden in the “processing charges”. I worked for many years in the technology and eCommerce space, and we often gave incentives in order to gain new customers or subscribers, watchfully measuring the results (i.e. the customer’s subsequent spending with us) to establish the value of the incentive. When you are a corporation with many potential assets to leverage, there is more than one way to look at something and justify the math. For many eCommerce-driven companies, a key metric would be the growth of new accounts, personal and business, as well as the revenue generated from those new accounts over the long term when, for example, the personal account holder is shopping all over the Internet. So in the case of PPGF, the incentive to cover the donation fee while gaining an opportunity to convert the donor into a potentially life-long PayPal user in an environment where people are increasingly shopping online is a great example of the emerging trend of corporations mixing profit with doing good. In fact, this topic was fiercely debated at a recent fundraising conference I attended in Europe (and it’s happening in the social impact space more broadly as well); some of my colleagues in the social good space embrace this new way of doing business, while others remain staunch opponents. But it is the trend that is here to stay. CanadaHelps is different. The nominal transaction fee we charge covers those real costs of payment processing, but more importantly, it supports the long-term sustainability of a mission-based operation that exists for the sake of the charities who rely on what we do. It’s a true virtuous circle with no ulterior motive. CanadaHelps is intentionally transparent about the fees we charge. Yes, those fees cover the costs we pay to payment processors like MasterCard, Visa and yes, PayPal, but they also pay for the costs of building and maintaining our software that provides user-friendly tools for charities and donors; running our bilingual, live customer service; ensuring tax receipts are issued in compliance with all the CRA rules; and perhaps most importantly, ensuring donations are sent to charities quickly and reliably so they can put those valuable dollars to use in achieving their mission as soon as possible. We would like to lower our modest fee further if we could. As a matter of fact, when VISA and Mastercard lowered their fees for processing charitable donations a few years back, it was a big win for charities (thanks to the efforts of Imagine Canada who lobbied the government on behalf of charities). We were happy to pass the new savings on to charities by lowering our processing costs; but not all payment processors followed suit, choosing instead to keep the sudden windfall. As an independent Canadian charity not affiliated with any corporation, we’re solely responsible for finding or generating our own funding – we don’t have a multi-billion-dollar parent footing our bill and I am happy for the independence that provides. We will not change what we do – there is no secondary interest that can influence our strategy down the road – and that’s why charities know they can count on us. While we have been working to build digital capacity and technology infrastructure for all charities in Canada, it occurs to me that we have not done as good a job as we could have in communicating the range of programs and services that we offer that positively impact the Canadian charitable sector. While a long time ago we might have been considered just a donations processor, we have significantly outgrown that. Today, our ambitious and impactful work encompasses operating a bilingual website, www.canadahelps.org, for donors to discover, learn about, fundraise for, or donate to any charity in Canada; processing donations of securities for any charity; and building tools for charities, including Customizable Donation Forms, Peer-to-Peer, ticketed Events with split-receipting – all for no up-front costs, no monthly fees, and no contracts. Our work goes beyond just processing donations: we provide education, live customer support, and launch initiatives for the charitable sector, including GivingTuesday Canada and The Great Canadian Giving Challenge; we are offering thought leadership and positively changing the conversations on charitable giving in Canada; and we partner with businesses to grow charitable giving. There is so much talk these days about innovation. Do we innovate? You bet ya! But we don’t prioritize talking about it over doing it. To “democratize access” and to truly build exceptional fundraising technology for small charities that is simple, affordable, and effective, we need LOTS of thinking, innovation, and ingenuity so we can bring premium features and solutions to the charities that don’t have access to best-practices. This allows charities to build their own sustainability and strength in the digital economy. It’s even harder, if not almost impossible, to do without the backing of venture investors or a corporation, but doing it on our own and with the support of Canadian charities allows us to be independent and to never see our small charity partners from a “can we afford to service them?” perspective. 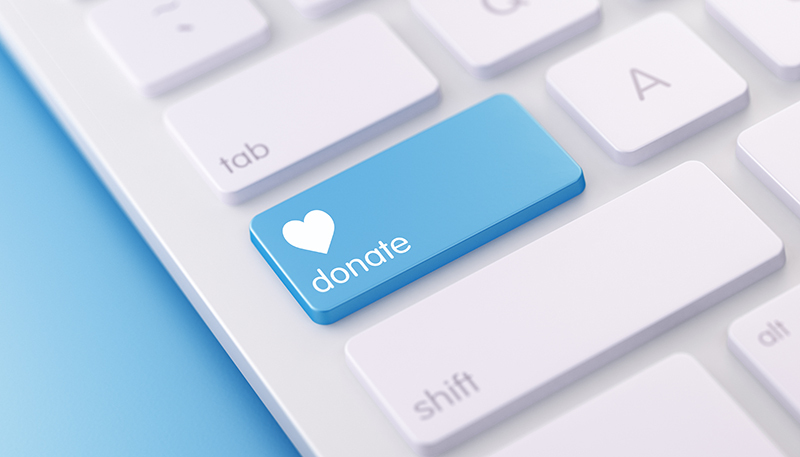 When donors and charities choose to use our platform for donations and fundraising, or use many of the tools and services we’ve built, they are – through those transaction fees – supporting the entire charitable space by enabling access to critical technology infrastructure that enables the capacity of all charities to continue to be there for the Canadians they serve today and in the future.